Urban sprawl is characterized the rapid expansion of the geographic extent of cities and towns. The term has been mainly used to define the expansion of American cities and the consequent low-level density areas. Yet, the growth of urban areas has since become a worldwide phenomenon. Cities in the Global South are expanding, with important consequences for the adjacent areas in terms of activities, environment, resources, agriculture and land use. The poorest population usually suffers the most from such transformation. This article aims to present four experiences from HCMC, Vietnam, Mexico, Delhi and Bangalore, where cities and their outskirts have tried to ensure that urban growth benefits the poor through culture, tourism, urban agriculture, housing and waste management. In 2010, Milpa Alta had the highest levels of poverty in all of Mexico. Given the dire situation, María Fernanda Carvallo writes about how the local government teamed up with private enterprises to implement various local development strategies to attract tourism to the area and foster its economy. One such initiative has been the celebration of the Mole, a traditional Mexican dish during the "Feria Nacional del Mole." Although it has been around for 34 years, the festival was relaunched, and today it attracts more than 2,600 people, creating an estimated 12,000 jobs. The same year, entrepreneurs, the government authorities of Milpa Alta and the Federal District also decided to introduce the Multicultural Cantolla Balloon Festival, targeting 20,000 visitors. Finally, as part of cultural promotion, the Ministry of Culture of Mexico City has created four cultural centers known as "Faros" (beacons), one of which is in Milpa Alta. Such efforts have positively impacted the image and situation of the municipality, which has been struggling so much. In Vietnam, Tam Nguyen presents the work of Ho Chi Minh City to encourage and improve urban agriculture in its outskirts, enhancing the livelihoods of many urban farmers. Indeed, being at the fringe of the rural-urban space, urban farmers usually have to learn to grow different crops using new technologies. To support them in that change, in 2010, the HCMC Department of Agriculture and Rural Development designed a five-year plan aimed at "developing the city's agriculture towards urban agriculture, increasing productivity, quality, and efficiency while maintaining sustainability." In preparation for the shift, in 2004, the Agricultural Hi-Tech Park of Ho Chi Minh City was built in one of the suburban districts with multiple zones for breeding and research, attracting investors, and educational workshops and trips. Besides the park, several hubs for technology and research were later established. Since the start of the five-year plan, the Department of Agriculture has organized 356 workshops and trainings for 27,660 participants, and issued a total of 10,000 billion VND of both investments and loans. Urban sprawl does not only impact urban agriculture; it also puts high pressure on land and the urban housing market. 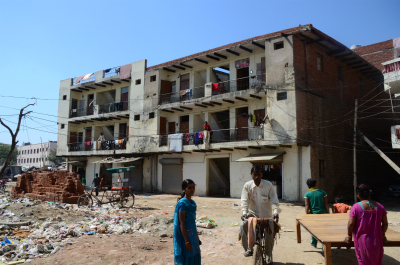 In India, Mukta Naik underlines the importance of private landlords in Gurgaon's urban villages on the outskirt of Delhi, who have been providing affordable housing to migrant workers. This informal rental market is inherently flexible and well equipped to cater to their shifting demands; yet it is under threat. Working class settlements in the city increasingly face demolitions to accommodate fresh real estate projects, and landlords seek to upgrade rentals to cater to well-paying clients. The Draft National Urban Rental Housing Policy, which currently seeks to formalize this market, could suggest models that protect and enhance this vital supply of affordable housing and, in particular, retain its flexibility. Policy responses could also consider micro Home Solutions' pilot project in Mangolpuri, Delhi, which helped homeowners with design and engineering inputs to retrofit their homes to create additional space to rent out. 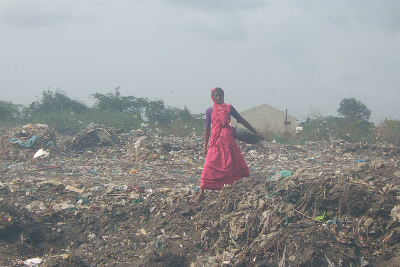 According to Ashali Bhandari, another victim of the increased land pressure in India has been the recycling hubs in Bangalore, such as Nayandahalli. Established in the 1970s, it is one of the largest recycling hubs in the city, with over 250 godowns (plants that further separate waste and recyclables). However, with the expansion of the Metro services, the godown owners in Nayandahalli, who primarily rent the land, have been receiving eviction notices, jeopardizing the recycling activities. Hasiru Dala, a member-based organization of waste pickers, is working with the Indian Institute of Human Settlements in an ongoing study to help mitigate displacement and push for subsidized rents. The study is looking to highlight the necessity of the recycling industry for the city, to propose policies that could help alleviate the waste economy's susceptibility to external factors that reduce the demand for recycled materials from Nayandahalli and to raise awareness about the positive contribution the recycling industry provides to the city. The four examples presented offer inspiring strategies for cities around the Global South to guarantee that urban sprawl does not become an additional burden for the urban poor. Check out more of the discussion on measuring the impact of urban development project on URB.im and contribute to the debate.